The pact has surprised some, given President Donald Trump’s effusive praise of Manafort’s willingness to fight special counsel Robert Mueller in court. 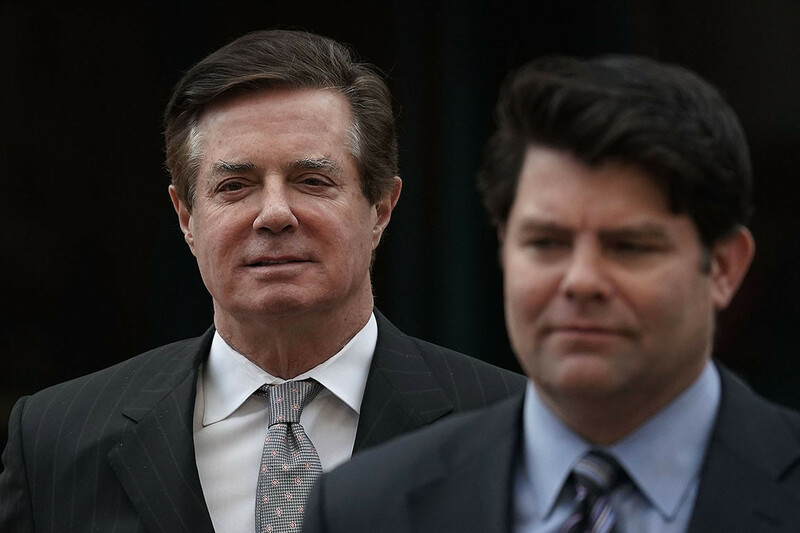 Paul Manafort, the former Trump campaign chairman, has struck a plea deal with special counsel Robert Mueller. The agreement comes just days before Manafort is set to face foreign lobbying and money laundering charges in a Washington, D.C., courtroom. The pact has surprised some, given President Donald Trump’s effusive praise of Manafort’s willingness to fight Mueller in court. Last month, Manfort was found guilty in a Virginia trial on eight counts of bank and tax fraud, while the judge declared a mistrial on 10 other charges after the jury couldn’t reach a unanimous verdict. After the decision, Trump called Manafort “a brave man” on Twitter. So what happened Friday? We answer a few questions. What’s in Manafort’s potential plea deal? The deal dismisses deadlocked charges against Manafort from the earlier trial, but only after “successful cooperation” with Mueller’s probe into Russian election interference and whether the Trump campaign coordinated with Moscow in its efforts. Mueller prosecutor Andrew Weissmann did not immediately expand on what cooperation is required under the deal. Separately, the agreement calls for a 10-year cap on how long Manafort will be sent to prison, and for Manafort to serve time from his separate Virginia and Washington cases concurrently. The deal also calls for Manafort to forfeit four properties. But it will not release Manafort from jail, where he has been held since Mueller’s team added witness tampering charges during the run-up to Manafort’s trial. Why would Manafort plead guilty? The outcome of the Virginia case might have actually made a plea deal for Manafort more attractive, since he already faces substantial prison time — perhaps on the order of eight to 10 years — from his convictions there. That sentence could amount to life for a 69-year-old. And prior to any plea deal, lawyers said, Manafort was exposed to another sentence of a decade or more if convicted on the Washington charges, which include conspiracy against the United States, failing to register as a foreign agent, money laundering and witness tampering. It would be up to the second judge who sentenced Manafort to decide whether the sentences would run concurrently or consecutively. Also, a plea deal limits Manafort’s legal bills. If Manafort pleads guilty, does that mean he will help Mueller? While the dismissal of the earlier charges against Manafort is conditional on his cooperation with Mueller, it is unclear what that cooperation would entail. Usually, plea deals require a defendant to share information useful to prosecutors, but prosecutors will typically give some concessions to someone who won’t cooperate but is willing to plead guilty to some of the charges they face. When Rick Gates, Manafort’s business partner and co-defendant, agreed in February to plead guilty to two felony charges and cooperate with investigators, Manafort professed to be mystified by the development. Gates went on to serve as the star witness at Manafort’s trial. Why would Mueller accept a plea deal if Manafort doesn’t have useful information? Mueller’s team has shown a desire to put its findings on the public record even if it has little or no chance of getting the defendants in a courtroom. For instance, the special counsel’s team filed exhaustive indictments detailing Russia’s online disinformation and hacking schemes during the election, even though legal experts say the individuals named in the documents will never stand trial in the U.S. Given that background, it might seem confusing why Mueller would allow Manafort to plead guilty if he’s not willing to offer worthwhile information in the special counsel’s Russia probe. But legal experts note that the government can benefit from avoiding the hassle of Manafort’s Washington trial, especially considering it already obtained guilty pleas in the Virginia case. Still, won’t this anger Trump? It could, but scuttling Manafort’s upcoming trial is also advantageous for Trump, lawyers close to the case say. Trump will avoid a distracting, high-profile political spectacle just weeks before midterm elections in which GOP losses could severely crimp his power and might lead to his impeachment. So what does the plea deal mean for Manafort’s chance at a presidential pardon? We’ll see. Trump’s lawyer Rudy Giuliani has indicated he understands Manafort’s impulse to plead guilty. But after a plea deal, could Manafort be forced to testify against the president? The former Trump campaign chairman might now be in a spot where he can more easily be compelled to testify about the Trump campaign’s Russia contacts, including the now infamous Trump Tower meeting with Russians that Manafort attended in June 2016. Lawyers have said a deal could expose the former Trump campaign chief to more questioning, although the same issue could have come up even if Manafort had been convicted at a second trial and Trump granted a pardon. Mueller could grant Manafort immunity and force him in front of a grand jury.